Baby Bear Cub by Sue Pedleton. Who can resist such a sad little bear face? From my favourite ever knitted bear book by Debbie Bliss. And Sleepy Bear in a Bunny Suit from the same book. I've made this one a few times as a new baby gift (though this one is not mine, it's by This is Knit). 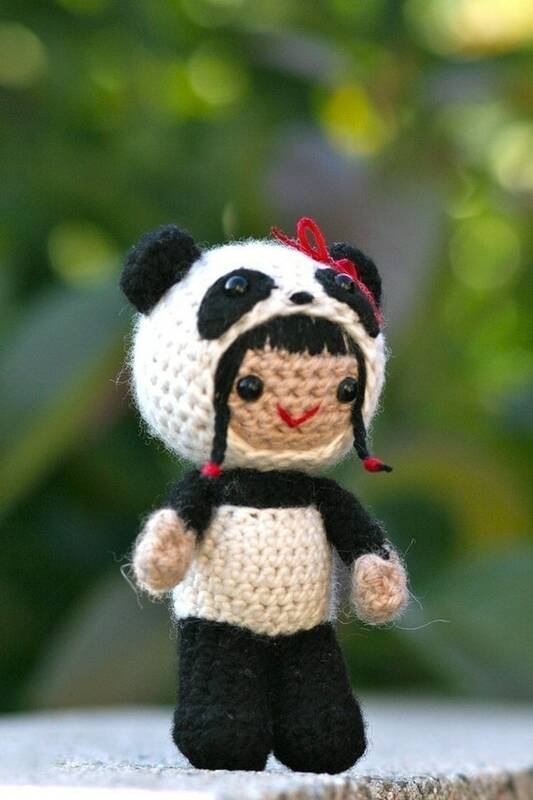 By Owlishly (Mia Zamora-Johnson): Pearl in a Panda Suit. Inspired by the character Detective Kate Beckett from the TV show Castle. Love the cables (and the colour). 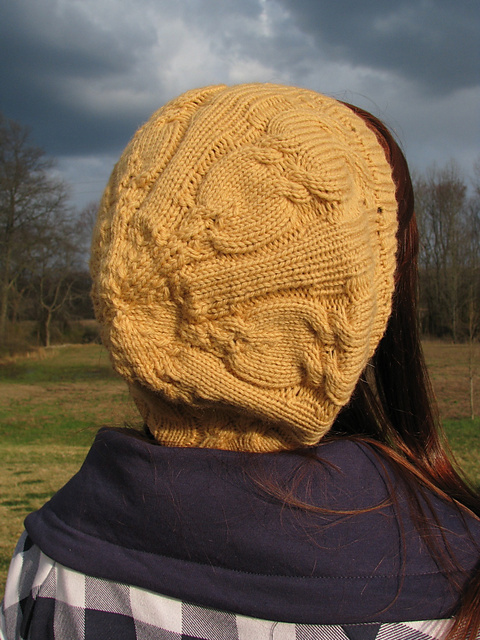 I like the fact that this has a panel of contrasting stitches at the front. 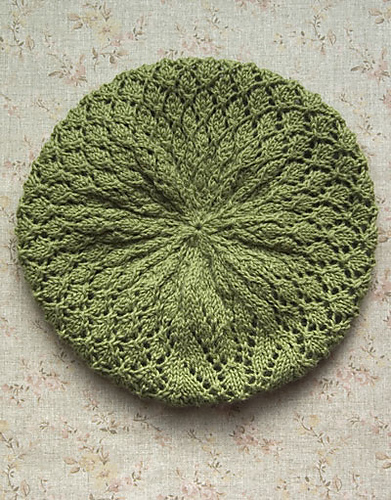 The Rustling Leaves Beret by Alana of Never Not Knitting from the book Coastal Knits. I'm amazed at ingenuity of interlocking leaves and how it was inspired by eucalyptus leaves rustling in the ocean winds. 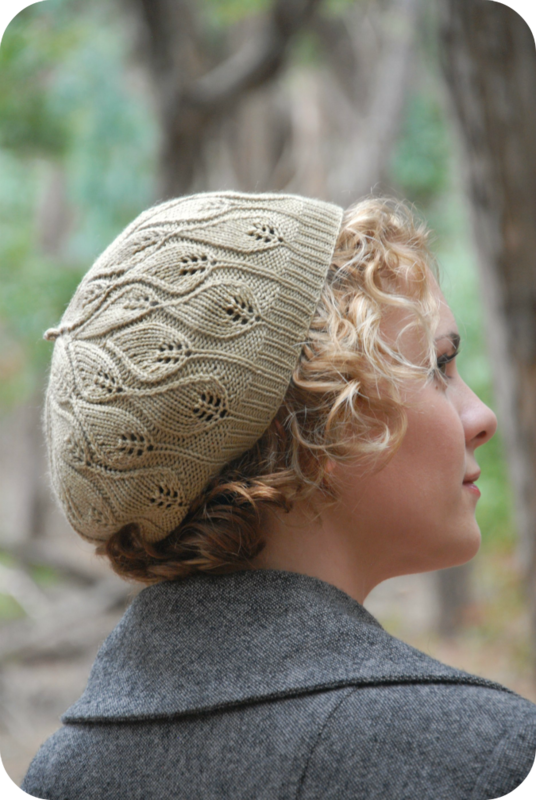 How very Australian for a beret design inspired by the American coastline. And finally, lets mesh the themes. Here's a Bear in a Beret. The British Army Teddy Bear, with his red beret and camouflage.